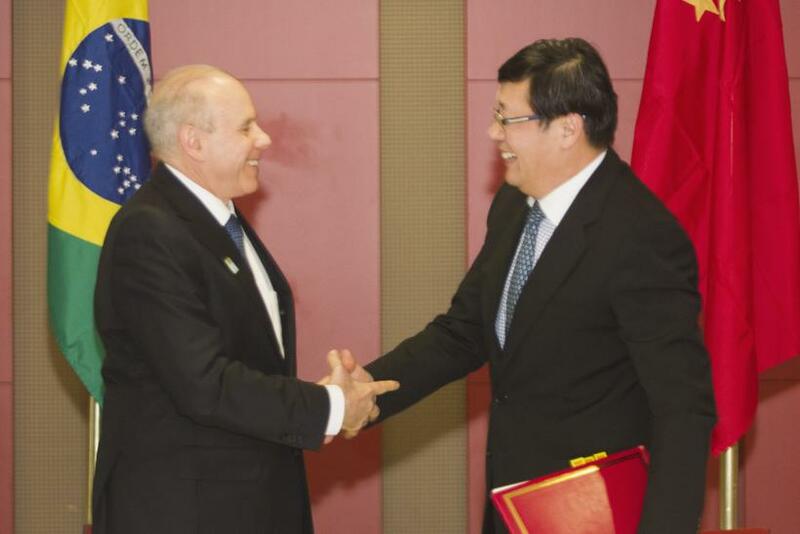 Brazilian Minister of Finance Guido Mantega (left) and Chinese Minister of Finance Lou Jiwei shake hands at BRIC meeting. Two of the world’s top development banks are both based in Washington, D.C., which is part of the reason why the International Monetary Fund and the World Bank are often viewed -- justifiably or not -- as organs of U.S. and Western economic interests. Now the biggest emerging markets, Brazil, India, Russia, China and South Africa, known collectively as the BRICS, are proposing to create a workaround that would allow them an alternative source of development funds. “The deepest rationale for the BRICS is almost certainly the creation of new Bretton Woods-type institutions that are inclined toward the developing world,” Martyn Davies, CEO of Johannesburg-based Frontier Advisory and an expert on emerging markets, told Bloomberg amid the fifth BRICS summit being held in Durban, South Africa, through Wednesday. The Bretton Woods conference of 1944, named after the New Hampshire village where the event took place, set the stage for the establishment of the IMF. 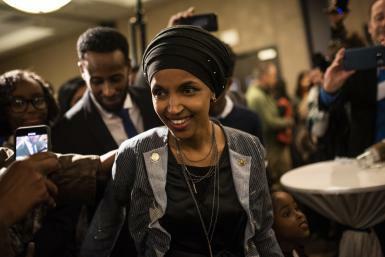 But the IMF and the World Bank are designed to always be led by Americans and Europeans -- a practice that emerged after World War II that many critics of the banks consider an antiquated custom in an increasingly globalized world. The U.S. in particular has opposed moves to give emerging markets more power at the IMF. Combined, the BRICS states have foreign currency reserves of $4.4 trillion and make up more than 40 percent of the world’s population. Trade among the BRICS is about $282 billion a year. These five countries make up 17 percent of global trade and a fourth of the world’s gross domestic product. China and India are the top two fastest growing economies. These facts were underscored at the Durban summit on Tuesday, where finance ministers and heads of each country’s central banks were brainstorming on how to set up this proposed separate development bank. But the devil is in the details as to how to fund the bank and how power will be divvied up, especially considering that China and India are major commodity importers while Brazil, Russia and South Africa are heavily invested in commodity exports, leading to obvious diverging interests with regard to pricing and tariffs. And China’s manufacturing output is undermining local manufacturing in other BRICS states. The simple question of where such a bank would be headquartered could expose some considerable rifts. Nevertheless, the rise of the BRICS states is undeniable, and the establishment of a development bank to cater to their interests apart from Washington’s economic power may be not so much a matter of if, but rather when. "We've never seen the total realignment of global politics and economics the way we've seen in the last two to three years," Abdullah Verachia of Frontier Advisory told the BBC. "That's why this BRICS grouping has become so influential."